Peter J. James is a writer and historian, who describes himself as a ‘generalist’ in the study of the ancient Near East and Mediterranean.”About the author: Peter James“, official website at www.centuries.co.uk He graduated in Ancient History and Archaeology at Birmingham University and pursued postgraduate research in Ancient History at London University. His main interests are ancient chronology, technology and astronomy and the history of science. He is perhaps best known for his book, Centuries of Darkness written in collaboration with I. J. Thorpe, Nikos Kokkinos, Robert Morkot & John Frankish. Since 1976, James served in a variety of contributing editorial roles for the SIS Review and Kronos. He has also contributed articles to numerous journals, both academic and popular. The result of the Conference was that Peter James, John Bimson and Geoffrey Gammon developed the “Glasgow Chronology”, a major modification of Velikovsky’s proposals. “For some years now a number of the Society‘s historians have been endeavouring to provide a new model for ancient Near Eastern chronology in an attempt to answer the criticisms levelled at Velikovsky‘s work in Ages in Chaos, Ramses II and His Time and Peoples of the Sea. The original imaginative concept of Velikovsky’s reconstruction has run into serious problems with regard to the method by which the so-called “phantom years” are eliminated from the conventional (and apparently extended) history of the region. ..
“As a result of this disquiet over Velikovsky’s later revision there grew a body of scholars whose objective was to provide an alternative method of reducing the history of Egypt by some 500 years as demanded by Ages in Chaos whilst retaining the synchronisms put forward in that volume. Some tentative steps in this direction were first made at the Glasgow Conference in April 1978, the Proceedings of which have now finally been published (SISR VI:1/2/3). 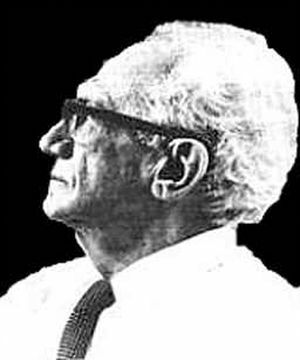 Whilst it was agreed that Velikovsky’s separation of the XVIIIth, XIXth and XXth Dynasties was impossible, it was still hoped that a revised chronology for the ancient Near East could be developed with Ages in Chaos as its starting point. An incomplete model embodying this approach subsequently became known as the “Glasgow Chronology”. “In Centuries of Darkness (COD) published in 1991,Peter James, I. J. Thorpe, Nikos Kokkinos, Robert Morkot and John Frankish, Centuries of Darkness: A Challenge to the Conventional Chronology of Old World Archaeology, London: Jonathan Cape 1991. ISBN 0-224-02647-X James and four other scholars (I J Thorpe, N Kokkinos, R Morkot, and J Frankish), concluded that the BCDark Ages were the direct product of a faulty Egyptian chronology. Its main purpose was to expose the archaeological problems of the Dark Ages as largely fictitious, imposed on archaeologists by the conventional chronology.”P John Crowe, “The Revision of Ancient History – A Perspective” An edited and extended version of a paper presented to the SIS Jubilee Conference, Easthampstead Park, Sept. 17-19th 1999. Revision No.2 August 2007. Online at the SIS Website. The book suggested that the biblical “Shishak”, who sacked Solomon’s Temple should be identified with Ramesses III, not Ramesses II (per David Rohl) or Thutmose III (per Velikovsky). “Warner Sizemore here yesterday, 10.45-1.30, discussing many affairs. He reported that not only Greenberg and others were angry at the SIS magazine group in England but that Velikovsky V was upset because of their caviling at points and their undermining his theories instead of developing them. “Further V. ordered Sizemore and Greenberg to drop Peter James as Senior Editor from the editorial board of Kronos in three months, or else he would give them no further material of his own to print. James is associate editor for the historical content of SISR and also on the Kronos board. Peter James, The Sunken Kingdom: The Atlantis Mystery Solved (1995) London: Jonathan Cape. ISBN 0-224-03810-9. James, P. J., Thorpe, I. J., Kokkinos, N., Morkot, R., Frankish, J., 1991. “Centuries of Darkness: Context, Methodology and Implications”, Cambridge Archaeological Journal 1:2, pp. 228-235. James, P. J. & Morkot, R., 1991. Letter (reply to Kitchen), Times Literary Supplement June 7, p. 15. James, P. 1991. Letter (reply to Kitchen 2), Times Literary Supplement July 12, p. 13. James, P. J., Thorpe, I. J., Kokkinos, N., Morkot, R., Frankish, J., 1992. “Centuries of Darkness: AReply to Critics”, Cambridge Archaeological Journal 2:1, pp. 127-130. James, P. J. & Kokkinos, N., 1992-3, Letter reply to Mellaart 1991/2, Bulletin of the Anglo-Israel Archaeological Society 12, p. 80. James, P. J., 1996. “Updating the Centuries of Darkness”, British Archaeology 13 (April), pp. 8-9. James, P., Kokkinos, N., & Thorpe, I. J., 1998: “Mediterranean Chronology in Crisis”, in M. S. Balmuth & R. H. Tykot (eds), Sardinian and Aegean Chronology: Proceedings of the International Colloquium ‘Sardinian Stratigraphy and Mediterranean Chronology’, Tufts University, March 17-19, 1995 (Studies in Sardinian Archaeology V – Oxbow Books), pp. 29-43. James, P., 2002a. Review of I. Finkelstein & N. Silberman: The Bible Unearthed, Minerva March/April, p. 64. James, P., 2002b. “The Dendrochronology Debate”, Minerva July/August, p. 18. James, P., 2002c. Review of William Dever: What Did the Biblical Writers Know and When Did They Know It?, Palestine Exploration Quarterly 134:2, pp. 176-178. James, P., 2003. “Naukratis Revisited”, Hyperboreus: Studia classica 9:2, pp. 235-264. James, P., 2004. “The Assyrian, Babylonian and Persian Periods in Palestine”, Bulletin of the Anglo-Israel Archaeological Society 22, pp. 47-58. James, P., 2005a. “The Date of the Ekron Temple Inscription – a Note”, Israel Exploration Journal 55:1, pp. 90-93. James, P., 2005b. “Archaic Greek Colonies in Libya: Historical vs. Archaeological Chronologies?”, Libyan Studies 36, pp. 1-20. James, P., 2006. “Dating Late Iron Age Ekron (Tel Miqne)”, Palestine Exploration Quarterly, 138:2 (2006), pp. 85-97. James, P., 2007. Review of D. Ussishkin, The Renewed Archaeological Excavations at Lachish (1973-1994) (2004), Palestine Exploration Quarterly 139:3, 213-217. James, P. and van der Veen, P., 2008. “Geschichtsbild in Scherben?”, Spektrum der Wissenschaft Dec., pp. 88-93. James, P., 2008. “The Alleged ‘Anchor Point’ of 732 BC for the Destruction of Hazor V”, Antiguo Oriente 6, pp. 133-180. 6. ↑ P John Crowe, “The Revision of Ancient History – A Perspective” An edited and extended version of a paper presented to the SIS Jubilee Conference, Easthampstead Park, Sept. 17-19th 1999. Revision No.2 August 2007. Online at the SIS Website.